We offer a disciplined, unemotional, and highly diversified investment approach that offers objective advice rather than financial products to buy. We call it evidence-based investing. It is based on the science of investing that cuts through the noise and confusion by focusing on what really drives investment return, helps reduce volatility, and simplifies the investment process. The time-tested core concepts of asset class investing are not new, supported from decades of evidence from academic research focused on answering the question “Where do returns come from?” However, these concepts tend not to be applied by active managers, which is what sets the approach apart. 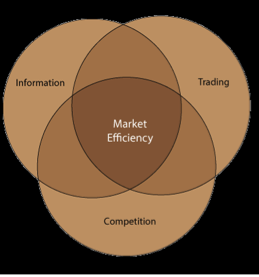 A cornerstone concept of modern economics is that a free and competitive market system is the most efficient way to allocate resources. Securities markets throughout the world have a history of rewarding investors for the capital they supply. Companies compete for investment capital, and millions of investors compete with each other to find the most attractive returns. This competition quickly drives prices to fair value, ensuring that no investor can expect greater returns without taking greater risk. The result is an efficient market system with prices that incorporate all available information as well as future expectations, and are the best approximation of fair value. We attempt to capture market rates of return by using institutional mutual funds that invest in thousands of securities in selected asset classes. These funds exclude financially distressed and bankrupt companies as well as illiquid securities and Initial Public Offerings. They also minimize trading costs through a patient and flexible trading approach that does not mandate index tracking like traditional index funds and ETFs. We believe that investment returns are primarily determined by risk. We help our clients manage their portfolio’s risk and return profile by allocating money to asset classes with risk factors from decades of evidence that may have higher expected returns over the long run (which we define as the rest of your life, since our planning focus is on retirement planning, which is not short term). 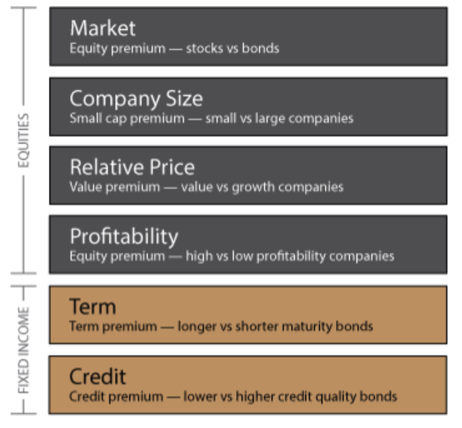 The equity risk factors we target in our portfolios include momentum, value, size, profitability, term, and credit. We tilt portfolios to these risk factors to adjust risk based on a client’s risk tolerance, financial goals and other considerations. Why combining these factors is also important. We combine the equity portion of a portfolio with short term fixed income to further manage risk and create a risk-adjusted portfolio. Diversification is much more than the idea of not putting all your eggs in one basket. An effectively diversified portfolio is constructed of securities, or preferably entire asset classes, that do not share common risk factors and therefore tend not move together. 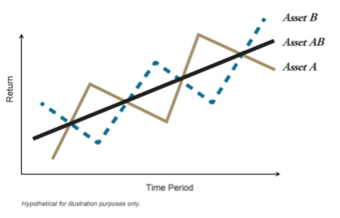 It has components that may zig while others zag, creating more consistent, less volatile returns that compounds money at a greater rate than a more volatile portfolio with the same average return. To accomplish this we combine asset classes in a portfolio that have dissimilar return patterns. We invest globally across thousands of securities to minimize single-security risk and to capture the diversification benefits of different country markets and currencies. We also combine equities with high-quality, short-term fixed income securities that have a low correlation with stocks. Diversification and allocation are not the same thing. How are ALL of the above all together? Big picture summary: Key Questions for Long Term Investors. The video is a generic explanation that I have chosen not to make it appear that I have produced it. It was produced by Robin Powell in the UK for adviser use. It is meant to summarize the above points using different words and concepts. What does the last point in the video "Invest for the Long Term" mean? It means for the rest of your life. We use a comprehensive tax management approach to help minimize tax exposure for our clients. Our goal is to maximize after-tax returns while maintaining a client’s desired target risk level. Over time, a portfolio will drift from its initial asset allocation due to market fluctuations, changing the portfolio’s risk and return characteristics. 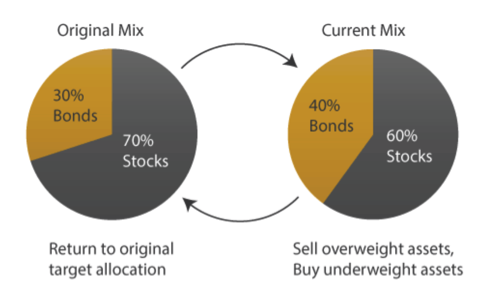 Rebalancing brings the portfolio back closer to its original risk adjusted targets, helping to retain its risk profile (the primary objective) by buying those asset classes that are underweight and selling those that are overweight. Rebalancing may also aid overall risk adjusted portfolio returns (the secondary objective) by taking advantage of market fluctuations over time.